Yes, Arizona Does Have Seasons! Visiting Sedona during the winter months has its many rewards. Considered the low time in Sedona, many prefer these months, desiring to not share Sedona with the larger crowds at other times of the year. Temperatures warm up during the day with the average being in the mid 50's to low 60's. Colder nights and mornings have a wintry feel, without the extreme cold and snow experienced in other parts of the country this time of year. Average low temperature is 32°, but it can get as low as 20° on some nights. There is an occasional snow in the Sedona area, but not enough to be concerned with since the warm day temperatures normally melt the snow away, earlier in the day. Be prepared, bring layers on your visit to Sedona in the winter so you can experience all that winter in Sedona has to offer! 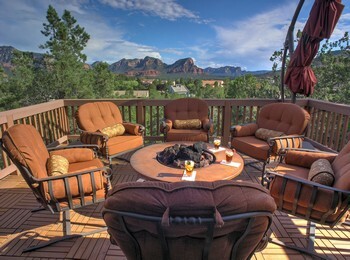 Click image for more views from this outstanding Sedona vacation retreat. One of the most visited times of the year, Spring offers temperatures ranging from mid-60’s to low 80’s though May sometimes can see temperatures in the low 90’s. Prepare for blue skies, light breezes and golden sunshine. 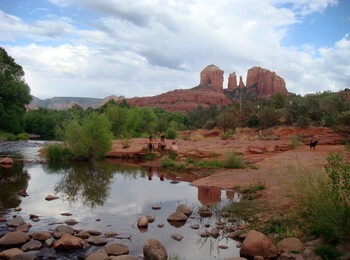 Perfect weather for all the many outdoor activities and shopping excursions the Sedona area has to offer. Again the layers will keep you warm in the earlier hours of the day, having a jacket or sweatshirt that can be removed as the day warms and available later in the day when it cools down again. Click to see more of these inviting Sedona vacation homes. Copperstar - Great Uptown Location! Manzanita - Outstanding Red Rock Views! It's not as crowded as the Spring or Fall, but many love visiting Sedona in the Summer to soak up some sun and enjoy the spectacular skies due to the seasonal monsoons that roll through Arizona. Sedona has an average daytime high just above 90° with evenings cooling into the low 70's. Though higher temperatures are possible, the summer's normal monsoon pattern usually cools it down every afternoon, refreshing the high desert landscapes with scents of rain and lots of rainbows! Bring along your favorite summer tops, shorts and sandals for exploring the galleries and shops around town. You will want to remember shoes with closed toes for the days out on the trails and possibly a swimsuit to take a swim in Oak Creek at Slide Rock or Red Rock Crossing. Summer is the time of the year for art and music festivals and the Hummingbird Festival in Sedona. Be sure to have a hat to cover your head if sitting out in the sun and include sunscreen for protection from it. 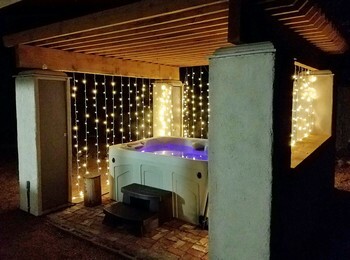 Summer fun at a private vacation home getaway! 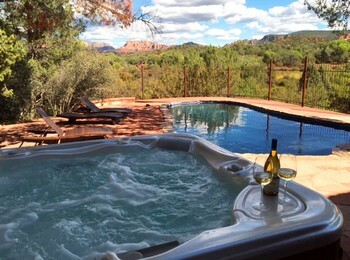 Enjoy a pool or a swim in the nearby Creek at these excellent Summer Sedona vacation homes. Some consider fall the most perfect time to visit Sedona. Weather and temperatures offer just the right amount of sun and warmth for all the outdoor activities Sedona and Northern Arizona has to offer. Average high temperatures range from the mid-60s to possible low 80s, with crisp evenings and mornings. Fall colors along the creek are beautiful and the smells and sounds of fall provide a super hiking experience. Again pack layers of clothes. Have a selection of long and short sleeved tee shirts, long and short pants, a light sweater and jacket for layering and a combination of shoes for walking trails and strolling through galleries. As always, have your sunscreen for the days out, the sun is still intense and a head cover is also recommended. 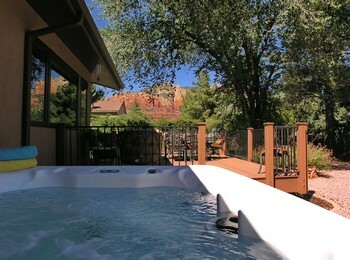 OWN YOUR OWN SEDONA HOME! 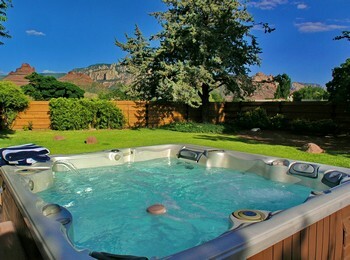 Let us help you find your perfect Sedona home.